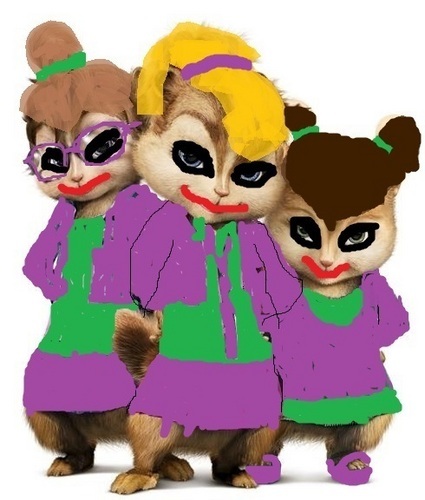 Joker Chippettes. . Wallpaper and background images in the Alvin and the Chipmunks club tagged: the chippetes elenor. what did u do with my chipettes yeah right they are really mine!!!!!!!!!!!!!!! you are getting meeeeeeeeeeeee maaaaaaaaaaaaadddddddddddddddddddddddddddd­ddd­ddd­ddd­ddd­ddd­ddd­d!!­!!!­!!!­!!!­!!!­!!!­!!!­!!!­!!!­!!!­!!!­!!!­!!!­!!!­!!!­!!!­!! !­!